Netflix makes history as House of Cards takes top Emmy nominations. Broadcast networks snubbed in the drama category. The video rental and streaming company is now the first to receive major Emmy nominations for digitally distributed content. On Thursday morning, Netflix received the ultimate recognition. 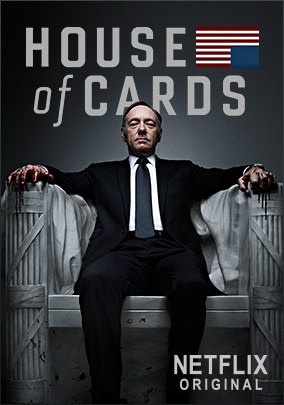 One of the company’s original series, “House of Cards,” was nominated for best drama for the 65th Primetime Emmy Awards. Another, “Arrested Development,” received a nod for actor Jason Bateman. A third, “Hemlock Grove,” got two nominations, reports CNN. “House of Cards” is going up against veterans such as “Breaking Bad,” “Mad Men,” “Downton Abbey,” “Game of Thrones” and “Homeland” for Emmy’s most prestigious award. The series earned nine nominations overall, including lead acting nods for Kevin Spacey and Robin Wright. Original programming was a major gamble for Netflix, which had noticed how people had started “binge-watching” shows such as “Breaking Bad” — watching entire seasons of popular series in one or two gulps. The service invested $100 million in “House of Cards,” based on a British series from the 1990s.